Download the show schedule for Melbourne venues and dates. Promising to take you to the extreme end of visual theatre with over 300 performances of 65 different shows including top International guest magicians from all over the world! 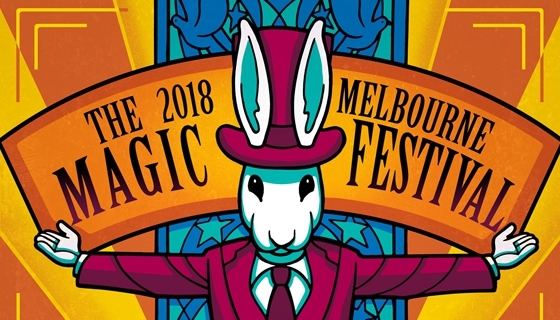 The Melbourne Magic Festival is now officially recognized as the largest festival of its kind in the Southern Hemisphere and attracts magicians and magic fans from all over the country and beyond. Have you ever seen someone LEVITATE right in front of your eyes? Would you like to be HYPNOTISED or have your MIND READ? Are you looking for a FAMILY FRIENDLY show that will appeal to all ages? Maybe an astonishing demonstrating of pure SLEIGHT OF HAND? How about LEARNING a trick or two yourself? Click BOOK NOW for on-line tickets.